Wild Heart Mustangs™ was honored to be invited to attend the Open House/Ribbon Cutting Ceremony for New Freedom Farm, Buchanan, VA. New Freedom Farm (Wild Heart Mustangs™ Riding Freedom's Trail Issues June 2016 and September 2016) rescues horses that are in turn used to help veterans with PTSD, Stress, Anxiety, Depression. New Freedom Farm creates a sanctuary for horses and humans to help them heal each other. 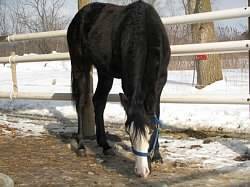 Buck and I arrived the day before and were welcomed at New Freedom Farm as if we were family. An immediate feeling of belonging and the positive energy amongst all the people there, volunteers, friends, family, vendors, guests was undeniable. 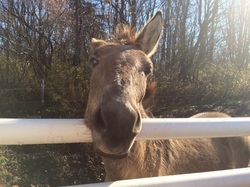 Lois and Mitchell Fritz (along with all their volunteers) work tirelessly to create a place of safe haven for both the animals they have rescued (horses, donkey, mule, dogs) and the veterans who come to visit. Most of the equine pictured in the slideshow below have been rescued from kill buyers, including three mares with their foals. Lois Dawn, a woman with a vision, perserverance, a heart of gold and a strong sense of faith. New Freedom Farm can be followed on Facebook or you can visit their webpage at www.NewFreedomFarm.net. They are a 501(c)(3) non-profit that is supported solely by donations. In this month’s November Issue of Wild Heart Mustangs™ Leah Huckaby shares her experience with what wild horses have taught her in life. 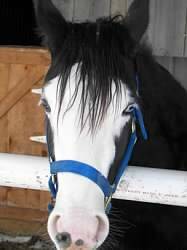 Read Wild Heart Mustangs™ exclusive article by Madison Shambaugh "Hold on the Halter". Be sure to check out Madison Shambaugh's videos on Vimeo to follow her progress with her Mustang Magic 2017 mare, Amira, her Liberty training, and understanding the plight of the wild mustang in America. Mary Lainhart shares her battle with anxiety from a riding accident, and after almost a decade is rediscovering the pure joy of riding again. Julie Goodnight's article is a must read for anyone who has ever lost their confidence riding from a fall or mishap. Veterans and Mustangs shares information about their organization in Riding Freedom's Trail. This month we take a readers suggestion and feature a therapy mustang for the month - meet Boo-Yah from BraveHearts Therapeutic Riding (October 2016 issue). L'il Buckaroos teaches kids about Zebras through fun facts, articles and games. Homesteading has recipes for Thanksgiving and Copaiba is the essential oil of the month for you and your animals. Winter horseback riding is our focus in Trail Riding. Don't forget to check our Calendar of Events for upcoming rides, shows, and clinics. ​Want to get a special gift for someone this Holiday season? Look in the Wild Heart Mustangs™ SHOP for exclusive prints by Mary A. Lainhart and Wild Heart Mustangs™ Apparel. All merchandise is proudly Made in the USA! 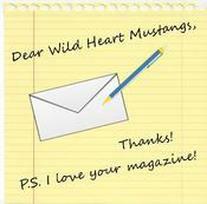 Consider Wild Heart Mustangs™ e-zine for advertising your upcoming events, business or products. Have something to add to the Calendar? Email it to us using the CONTACT page. Wishing you and your loved ones a blessed and safe Thanksgiving! ​Week after week, I work on one thing at a time. What am I telling my horse with my body? Quiet myself, stop flopping around like a rag doll. My muscles hurt, I am breathing hard, my clothes are wet with sweat. I will not give up. If I want to achieve my goals, I have to work for them. Work hard for them. I want to become a better rider. A confident rider, a quiet rider that knows how to communicate with my horse. I want to become a partner with my horse. I want to achieve oneness with my horse. Any good relationship is based on hard, persistent work. Listening to not only what someone is saying to you, but also being cognizant of what you are telling that person with not just your words, but also your body language, your tone, your energy. Multiply that concept infinitely, because now you are communicating with your equine who is that much more in tune with what you are saying without ever speaking a word. 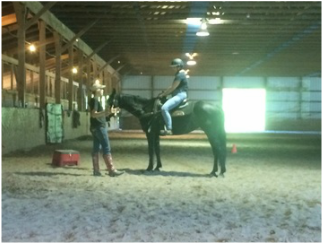 ​Like learning a new language, my trainer is interpreting my body language and explaining to me what I am telling my horse through my actions. I am becoming more aware of my body parts, than I ever have in my life. Where they are on my horse, what I am communicating through them. What mixed signals am I am giving and how to be more clear in my actions to get the answers I seek. The split second timing of giving the reward of release when the answer is correct. In the end…I find my horse, Neeheewanna, is very forgiving of my inadvertent mistakes. She is patient with me, she is kind with me, she gives me everything she has to offer to help me become a better partner with her. When our lesson is over, I whisper a quiet “Thank you for taking care of me” in her ear. She bows her head until her forehead rests on mine and we quietly breathe each other in as we share this special moment. I thank God for placing her in my life, for having her choose me. I thank the Universe for the patience, persistence, believing that has gotten us to this point. I give myself thanks for never quitting. At the end of the evening with horses loaded and headed home, I turn to Bucky and I thank him. Without his support, believing in me, willingness to not give up on this horse I believe so deeply in, I would never be here taking these lessons. This journey has never been just one of Neeheewanna and myself. From before the day I saw her, this journey began with Buck. I am very blessed to have someone so special in my life. I give thanks for him every day.